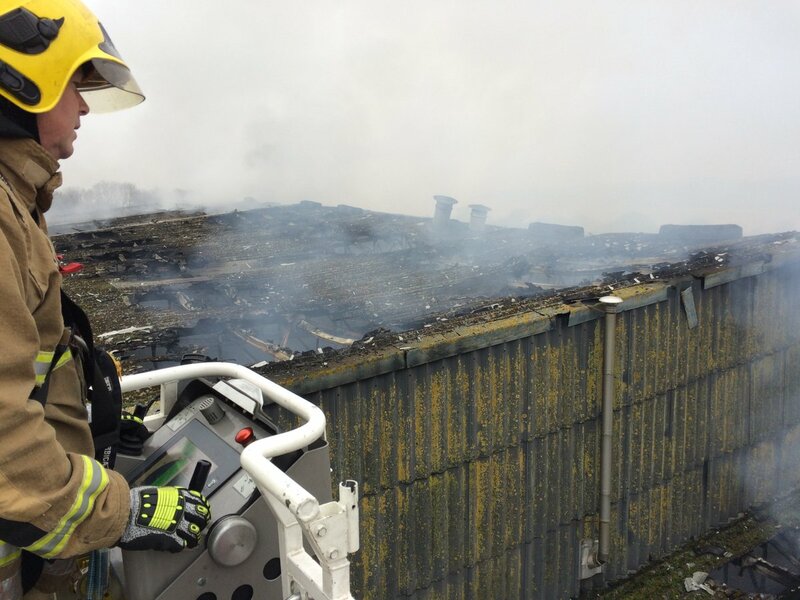 Fire crews are still dampening down a blaze which broke out at a large scale recycling plant. Teams were called to the New Earth Solutions recycling plant at Sharpness Docks just before 6am on Friday. More than 50 firefighters from Gloucestershire, and also Avon Fire and Rescue Service, attended the scene with eleven appliances. More than 24 hours after the fire broke out residents are still being urged to keep their doors and windows shut as smoke - and foul smells - continue to drift over surrounding areas. A teenage boy who was critically injured in bike accident in Greece has finally arrived home in the UK after a mass fundraising effort. A Thornbury-born judo star has won Team GB's latest bronze medal. Sally Conway beat her opponent with a single throw to secure the victory. A night shift worker has been found dead inside a walk-in freezer at a Tesco supermarket. Nigel Farage has been in Thornbury addressing UKIP's South West Conference. He told them it was their chance to regain independence, if Britain was to leave the EU. "This is our once in a lifetime opportunity to get our country back." The UKIP leader later took his campaign to Thornbury High Street. To dispel what he called 'the fears spread by politicians and the Prime Minister, who believe Britain would be better off and better protected staying in the EU'. It is still very early on in the campaign and no doubt in the coming weeks we'll hear plenty more from both sides. But in traditional Farage style the UKIP leader celebrated his canvassing with a visit to the nearest bar. Where he drank to the referendum and the chance to bring change to the country. The Thornbury-based Brain Tumour support group held an awareness day in memory of Mike Ludwell, asking everyone to wear a bandana. It's party conference season and first up are the Liberal Democrats, who are trying to rebuild after a disastrous May election. The party lost all their seats here in the West but today the new leader Tim Farron said people in the region were hoping to see the party recover its strength. But do local people know who he is? We went to Thornbury in South Gloucestershire to find out. What is giant hogweed and how do you spot it?